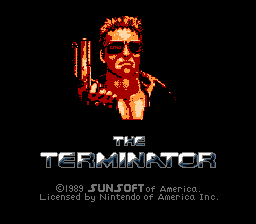 Sunsoft originally planned to make a Terminator game for the NES. They lost the license, and we all got the crappy Terminator game from Mindscape. 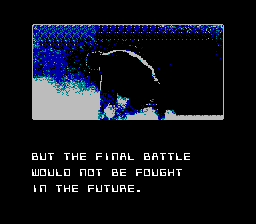 Sunsoft changed a few things (mainly the main character, and the story), and released Journey to Silius. The game is very awesome, with a killer soundtrack, great gameplay, and cool graphics. 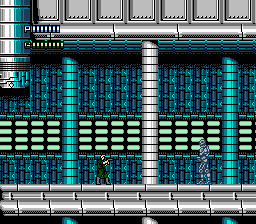 This hack aims to try to turn Journey to Silius back into The Terminator. 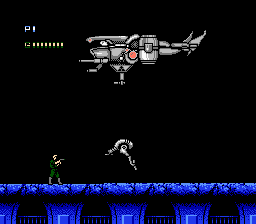 This hack replaces the title screen, cutscenes and story, ending, character graphics, as well as altering some enemies and bosses to look more Terminator-like. 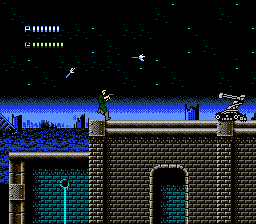 A big thank you to Kamaal Brown and PasthorRothers, who helped with the spritework, James Proveaux, who colorized the title screen, and 8-bit fan, who smoothed out and tweaked various things in the game! Enjoy!! !